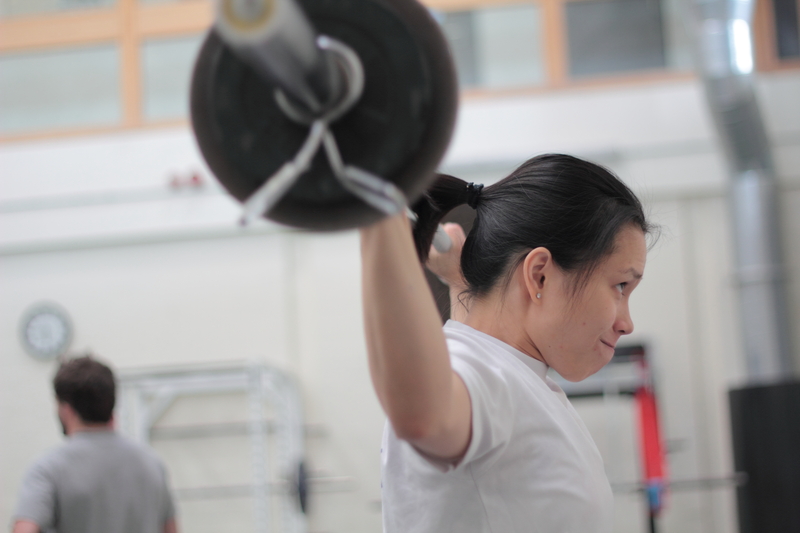 Helena Wong, representing Singapore in the London 2012 Olympic Games, Weightlifting 53kg category. Picture taken in Loughborough 2011. Got news this week that my former Loughborough sports science course mate from Singapore, Helena Wong, has been selected as a wildcard to represent Singapore in the upcoming London 2012 Olympic Games. I must say I’m incredibly proud of her, for I watched her pick up the sport of weightlifting here in the UK pretty much randomly, and witnessed her stratospheric rise, going to the 2010 Commonwealth Games, the 2011 SEA Games and now finally to become an Olympian at the 2012 London Games. She’s worked incredibly hard and broke through so many physical and mental barriers along the way, earning her spot at the games. As happy as I am for her, a small part of me looks on a little envious, for I watched her live the same dreams I had, even though I started out earlier and worked no less, yet she’s made it and I’m still miles away. I guess some people have it a little easier than others, that’s just the way the world works, no point comparing yourself because your life is the only one you’ll actually live. I guess I am meant to struggle a little more than others, but that’s ok.
About 3 more weeks to my last decathlon of the season. Should I go on after or should I stop? It’s still swinging around in my head. Some days I wake up feeling I’m ready for another 4 years of this, other days I’m ready to call it right there and then. « On Writing Your Story. A 30 yr old (retired) Singaporean Decathlete (still) trying to figure out life one event at a time. Find out how the journey began here. Be Here, Now. A look back at 2014.